FIFA World Cup Round of 16 Results (3 July 2018)…. Brave Mikel played against Argentina whilst his father was held hostage…. Super Eagles captain, John Mikel Obi, has revealed that his father, Pa Michael Obi, was abducted by unknown men, before their last Group D match at the 2018 World Cup. Mikel Obi bravely led out the team against Argentina, four hours after he spoke with the men who kidnapped his father. Pa Michael was abducted along the Makurdi-Enugu road on his way to a funneral and his kidnappers demanded N10million from the Tianjin TEDA midfielder to free him. Federer drops Nike partnership for Uniqlo…. 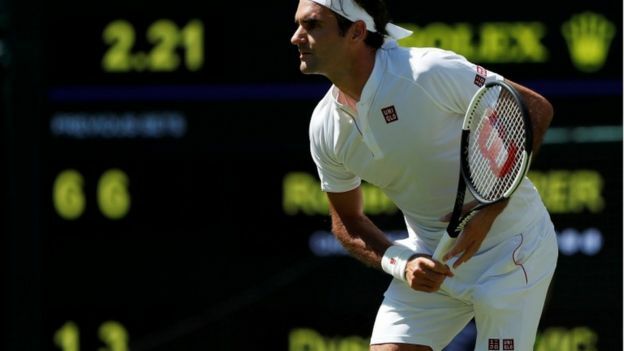 Tennis legend Roger Federer has signed a deal with Japanese clothing company Uniqlo after ending his decades-long partnership with Nike. The new contract is reportedly worth $300m (£228m) over the next 10 years and was signed after Federer’s deal with Nike expired in March. The tennis star donned the Japanese brand at his Wimbledon match on Monday, but for now has kept his Nike shoes. The 36-year-old Swiss player first signed with Nike in 1994. Sports news site ESPN reported the price tag of Federer’s new deal, but Uniqlo has not shared the specific terms. 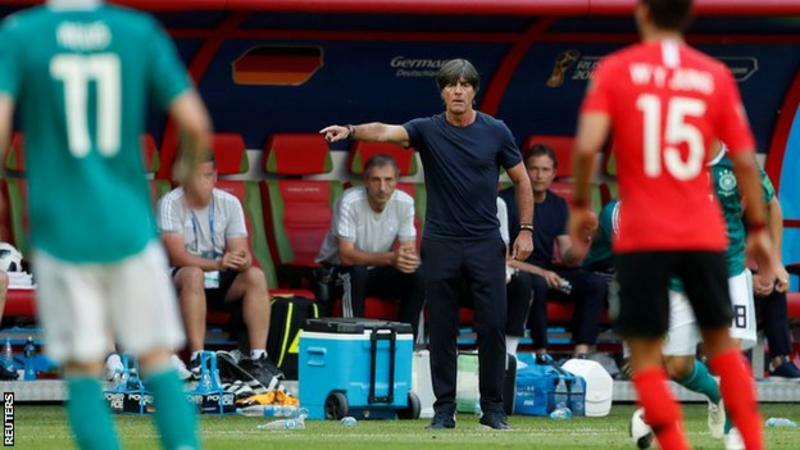 Joachim Low will remain Germany manager…. Joachim Low will remain as Germany manager despite their shock early exit from the World Cup in Russia. The defending champions finished bottom of Group G after losing 2-0 to South Korea – the first time Germany have gone out in the first round of a World Cup since 1938. Low – who was named Germany manager in 2006 – extended his contract a month ago until 2022. Germany had reached at least the semi-finals in their last four World Cups.